These coconut burnishing pads are made from 100% recycled fibers and combined with natural coconut husks and oils. This specialty pad is used to burnish soft or medium floor finishes to a high gloss. It works great with our 17" high-speed burnisher and leaves behind a fresh coconut scent. 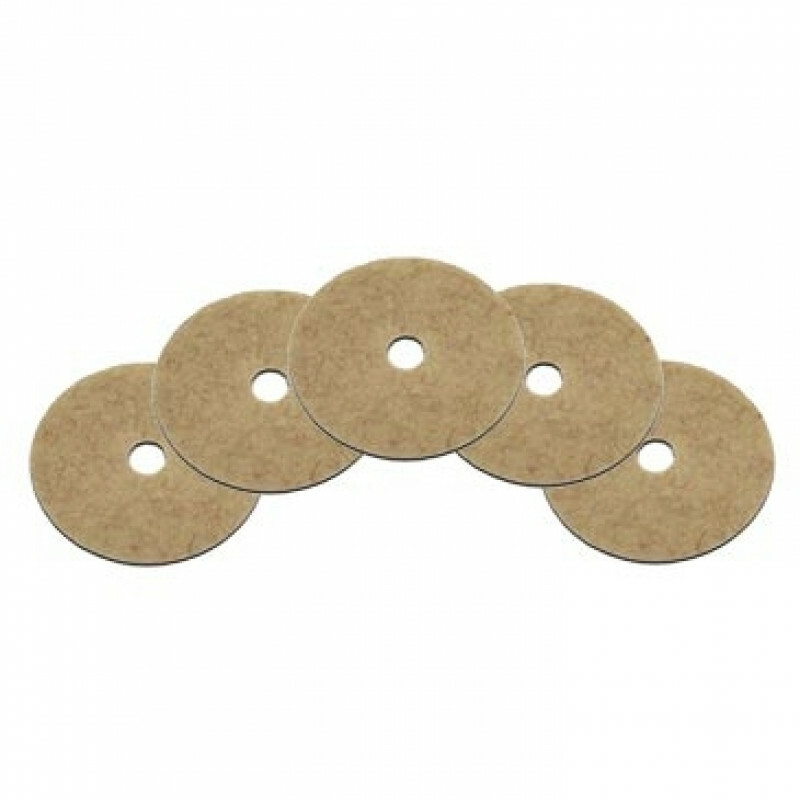 If these burnishing pads are not exactly what you're looking for, please take a look at our full line of floor burnishing pads. Customers who were interested in the 17" CocoPad® Coconut Fiber Floor Burnishing Pads - Case of 5 were also interested in the following items. This is a review for the 17" CocoPad® Coconut Fiber Floor Burnishing Pads - Case of 5.